The Portuguese mercearias of yesterday and today; but tomorrow? 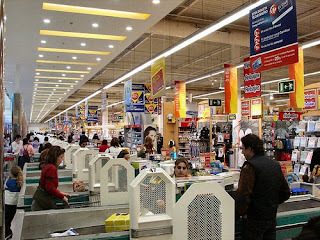 In a country with more square metres (or should we say kilometres) dedicated to commercial shopping space then any other in Europe, which is that of Portugal today (with much of that space quickly becoming empty - crisis anyone! ), if we were to go back to 1970's Portugal, surely the country would be at the bottom of such a ranking. 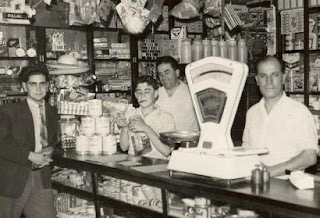 Back in the day, grocery shopping didn't mean a trip to the Continent or the Pingo Doce or the Modelo or the Lidl or whatever you may have in the vacinity of your home. 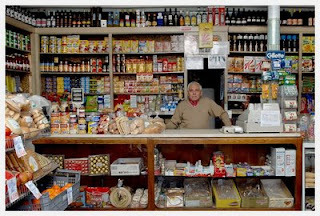 Grocery shopping, and basically any sort of shopping of household items, meant a stroll to the local mercearia (cornershop/cornerstore, you pick). Here's what they looked like (and some still do). The city of Porto has what are perhaps two of the most well know historic mercearias of Portugal: Casa Oriental and A Pérola do Bolhão (both below). 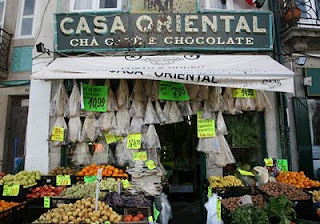 Having opened its doors 101 years ago, Casa Oriental is particularly well known for its bacalhau (salted cod), also used to decorate the entire store front. 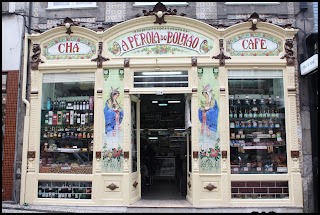 Founded in 1917, A Pérola de Bolhão has become a symbol of the city due to its artistic, painted tile storefront. In both cases, these mercearias have extended their history beyond their sales means - they are now historic symbols of the city. But what about those that don't earn that status? Are these bound to become a footnote in time? Most likely. 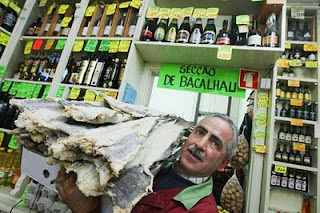 Most recently, however, an attempt at a new generation of mercearia was started up in Lisbon. 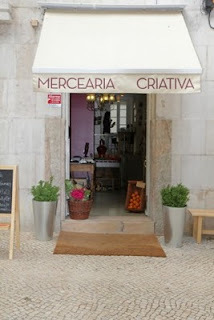 With the goal of bringing back the old neighbourhood mercearia feel, the Mercearia Creativa attempts to do just that, bringing with it certain touches of modernity as well (in this day-and-age of modern technology the internet helps http://www.merceariacreativa.com/). Surely, the concept may be somewhat utopian trying to beat out the big boys behind the box stores and the supermarket chains. Still, to put it simply, it's worth a try. After all what you see below looks pretty impersonal doesn't it?